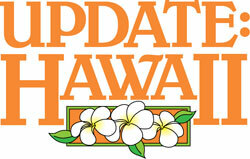 CBRE, Inc. today announced that Kim Lord, SCSM, SCMD has been appointed to lead the firm’s Hawaii Region. Ms. Lord, who has been serving as Managing Director of Institutional Services in Hawaii since rejoining CBRE earlier this year, takes over the top position in the market from Joseph Haas, who has chosen to return to brokerage as a sales professional in the Honolulu office. As Senior Managing Director, Ms. Lord will oversee the delivery of CBRE’s comprehensive commercial real estate services platform, including brokerage, investment sales, asset services, debt & equity finance, project management and valuation. Joe Haas will resume brokerage sales after being Senior Managing Director of CBRE in the Hawaii region for 10 years during which time it has become the largest commercial real estate firm in Hawaii (in terms of dollar value). Before returning to CBRE in July of this year, Kim was a Vice President with A&B Properties, Inc. Prior to that she served as Managing Director for Asset Services for CBRE Hawaii where she oversaw a management portfolio of more than seven million square feet of office, industrial and retail properties. 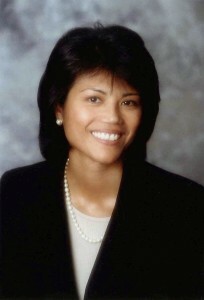 Kim originally joined CBRE in 2001 as a Senior Vice President of Asset Services, then was promoted to Managing Director for Retail Asset Services in Hawaii where she played an integral role in the development of CBRE’s retail specialty group, as well as of the Resort Retail Services group. CBRE Group, Inc. (NYSE:CBG), a Fortune 500 and S&P 500 company headquartered in Los Angeles, is the world’s largest commercial real estate services firm (in terms of 2010 revenue). The Company has approximately 31,000 employees (excluding affiliates), and serves real estate owners, investors and occupiers through more than 300 offices (excluding affiliates) worldwide. CBRE offers strategic advice and execution for property sales and leasing; corporate services; property, facilities and project management; mortgage banking; appraisal and valuation; development services; investment management; and research and consulting. Please visit our website at www.cbre.com.